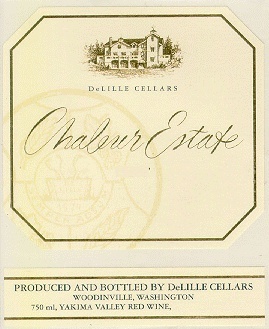 The 2007 DeLille Cellars Chaleur Estate Blanc is a blend of 68% Sauvignon Blanc and 32% Semillon. It was aged sur lie in new barrels of 100% French oak. 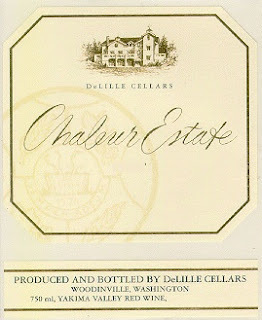 This has for quite some time been one of my favorite white wines because of it's stunning complexity and ability to age. It reminds me a lot of Chateau Smith Haut Lafitte blanc because of it's incredible waxy texture and brilliant aromatics. The color of the wine is the first thing to note with it's beautiful golden yellow shade which it of course indicative of the both the bottle age and the amount of Semillon in the blend. On the nose I get marvelous aromas of creme brulee, pineapple, toasted almonds, buffalo grass, and lemon curd.